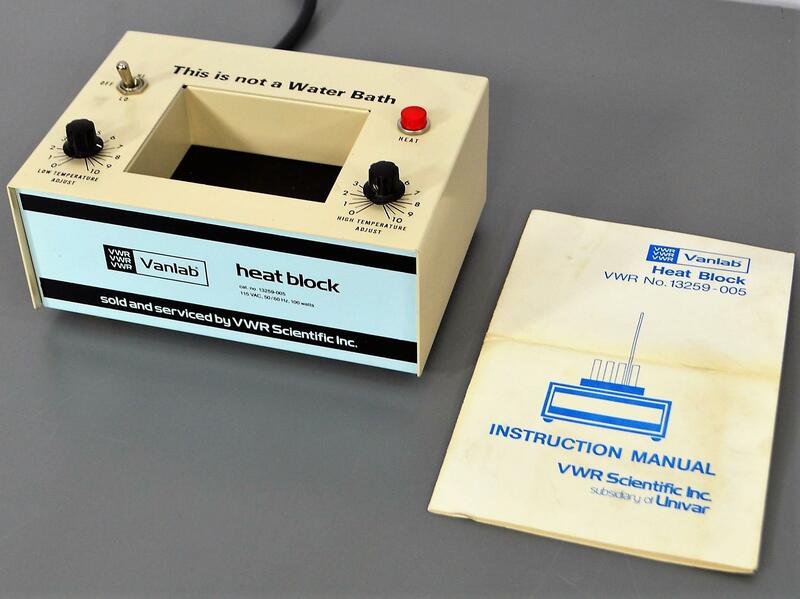 VWR Scientific Vanlab 13259-005 Heat Block Dry Bath 100W . New Life Scientific, Inc.
Our in-house technician inspected and tested this VWR Vanlab 13259-005 Heat Block, confirming it to be functional. Technician noted the unit heats quickly and holds the temperature set by the dials.